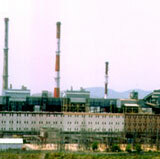 TATA Power is one of the greatest power companies in India. The Company has an installed generation capacity of 8521 MW in India. Tata Power has presence in almost all Renewable Energy sectors in India like Solar, Wind, Hydro and thermal. Tata Power with BP Solar has a joint venture Tata BP Solar which is one of the biggest Solar Panel companies in India. Tata BP Solar is perhaps the best solar lighting provider in India given the brandname and inhouse manufacturing of solar components.It has a range of Solar Lighting Solutions based on LED and non LED lights. The Company aims at producing 20-25% of its total generation capacity from clean renewable energy sources. It is estimated that Tata Power’s generation through wind, solar and hydro energy is almost 870 MW. Tata Power in order to meet its renewable energy requirement, plans to add 150-200 MW of wind energy and 30-50 MW of solar power in India every year. Tata Power has been quite ambitious with its Renewable energy plans. It is one of the greatest Solar Power companies in India with a total operational capacity of 28MW. It is also not behind in Wind generation, with an installed capacity of 397 MW. The solar projects includes 25 MW Mithapur Project Gujarat, 3 MW at Mulshi Maharashtra and some rooftop solar installations. Some of its wind power projects are Samana – 50.4MW, Khandke, Maharashtra – 50.4 MW. These projects are registered under the Clean Development Mechanism (CDM) program of the UNFCCC. As of 31st March 2013, the total generation from the solar capacities is approximately 50 MUs and from wind projects is 796 MU’s. Most of the power plants being built in India are coal dependent, with the power providers aggressively buying up coal mines in Indonesia, Australia and South Africa to increase fuel security. In case of any global disruptions, India remains very vulnerable. However India’s policymakers are sleeping on this issue. It makes more sense to concentrate on those sources whose fuel security is high such as solar and wind power. Coal also faces the prospect of high carbon taxation as global warming becomes acute. Environmental issues related to power plants has already resulted in some being halted as local citizens agitate against the thermal plant’s negative effects on livelihoods and health. Thus companies need to come out and start investing in Renewable Energy sources such as Wind and Solar. Tata Power has surely set an example for Indian companies by having such ambitious investment plans in these clean sources.